Post-Doc, Institute for Genome Stability in Ageing and Disease, Cologne Cluster of Excellence in Cellular Stress Responses in Aging-associated Diseases, Cologne, Germany. Rieckher M, Psycharakis S, Ancora D, Liapis E, Zacharopoulos A, Ripoll J, Tavernarakis N, Zacharakis G. (2017) Demonstrating improved multiple transport-mean-free-path imaging capabilities of light sheet microscopy in the quantification of fluorescence dynamics, Biotechnol J.
Rieckher M., Kourtis N., Pasparaki A., Tavernarakis N. (2009) Transgenesis in Caenorhabditis elegans. 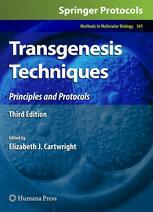 In "Methods in Molecular Biology: Transgenesis" (editor: Elizabeth Cartwright), Humana Press, Springer, New York, USA. Rieckher M. and Tavernarakis N. (2008) Caspase-independent cell death mechanisms in simple animal models. In "Acute Neuronal Injury: The Role of Excitotoxic Programmed Cell Death Mechanisms" (editor: Denson G. Fujikawa) Springer Verlag, New York, USA. Wang H., Lim P. J., Yin C., Rieckher M., Vogel B. E. and Monteiro M. J. (2006) Suppression of polyglutamine-induced toxicity in cell and animal models of Huntington's disease by ubiquilin. Hum Mol Genet.